Summer time is here and I’m glad to have some free time and warm weather! I’m still teaching lots of clarinet lessons but since there are no massive projects looming, it’s a great time to try new things, set new goals, and recharge my artistic batteries. A few weeks ago, I went and tried some new clarinet equipment and ended up with a beautiful new Behn vintage mouthpiece for my bass clarinet. I’m really enjoying playing on this mouthpiece, the high notes speak with ease and it’s incredibly resonant. I can’t wait to play this with orchestra. 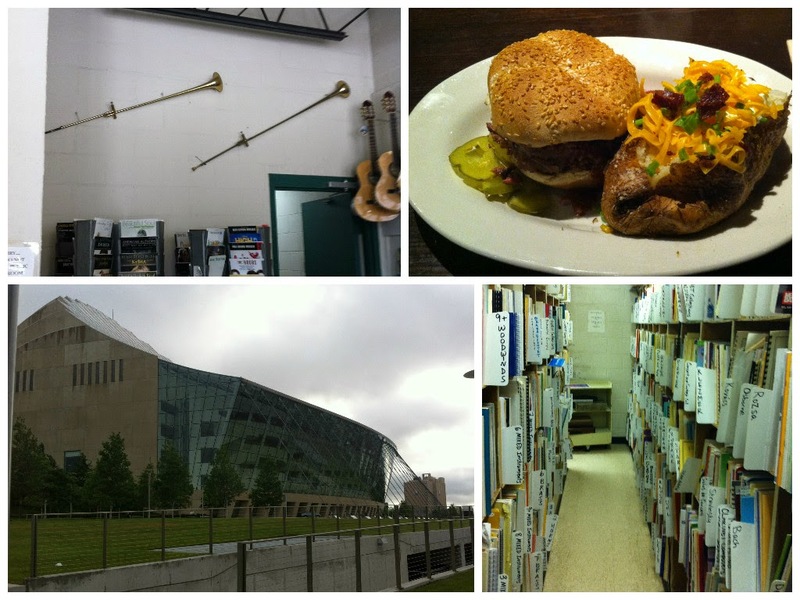 I also made a trip to Kansas City for their bass clarinet audition. While I was up there, I made a stop at Luyben Music and browsed through their awesome selection of clarinet music and enjoyed a delicious meal at Jack Stack Barbecue. As for the rest of the summer, we have trips planned to Houston, Memphis, and Atlanta so that will keep us busy. And of course, there’s always plenty to practice. I’m still going strong on day 25 of my run streak!